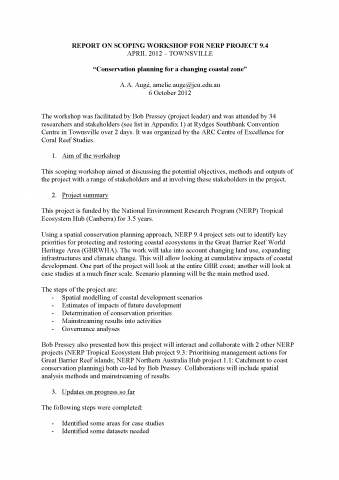 The following outcomes were developed by participants at the National Environmental Research Program’s ‘Torres Strait Futures’ workshop held on 22 – 23 October, 2012 in Cairns. 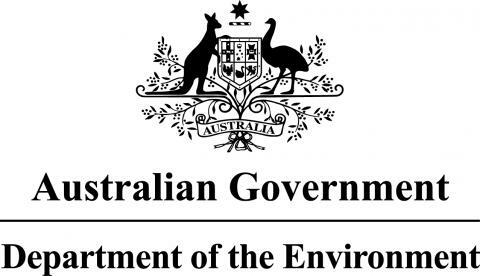 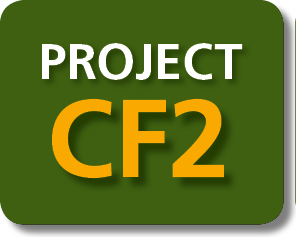 The 20 participants represented Australian, Queensland and Local Government stakeholders, NGOs and private enterprises that have responsibilities in the Torres Strait. 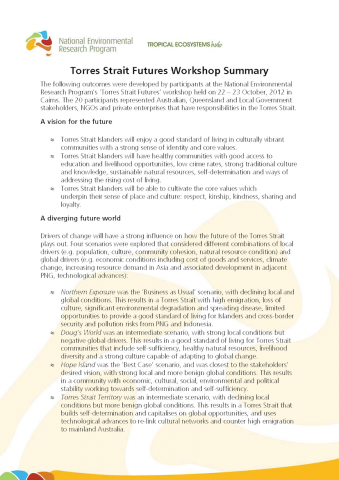 • Torres Strait Islanders will enjoy a good standard of living in culturally vibrant communities with a strong sense of identity and core values. 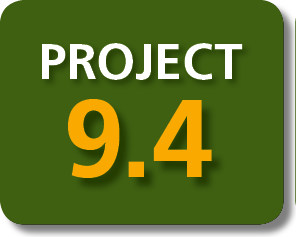 • Torres Strait Islanders will have healthy communities with good access to education and livelihood opportunities, low crime rates, strong traditional culture and knowledge, sustainable natural resources, self-determination and ways of addressing the rising cost of living. 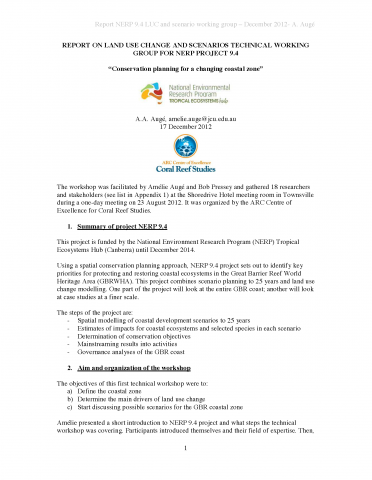 Auge, A.A., Maughan, M., Pressey, R.L., Brodie, J., Dale, A., Yorkston, H. (2013) Spatially explicit scenarios for conservation planning in the Great Barrier Reef coastal zone, Australia. 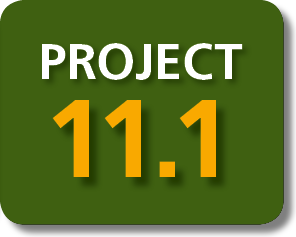 Coast GIS 2013. 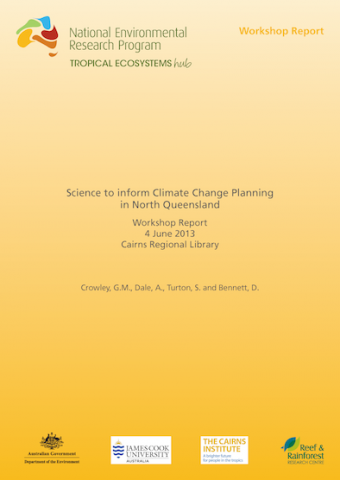 Crowley, G.M., Dale, A., Turton, S., Bennett, D. (2013) Science to inform Climate Change Planning in North Queensland.